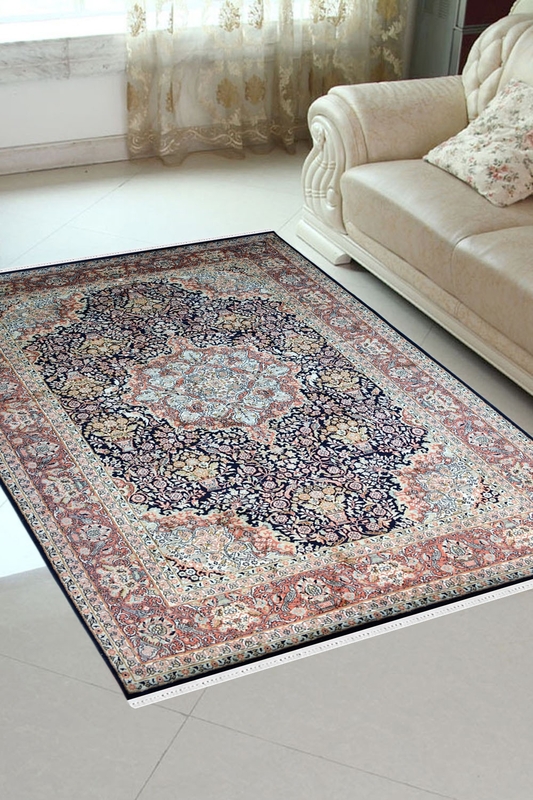 Decorate your room with this luxury handknotted silk area rug which is woven in Pure Silk and Cotton Material. It contains an intricate design pattern which reflect that how hard to weave it. A vivid palette of blue, green, and rust hues emerge in classic fashion, highlighting intricate motifs on this one-of-a-kind silk and cotton rug from Rugs and Beyond collection. Intricately hand-knotted in India by individual artisans, a distinctive weaving technique creates a hi-low effect, the motifs appearing to rise from the foundation of cotton. It contains a medallion Kashan which has been originated from Persia in 17th century. This design is inspired by nature.